Bennington Marine, LLC is a manufacturer of pontoon boats to be used for recreational purposes. 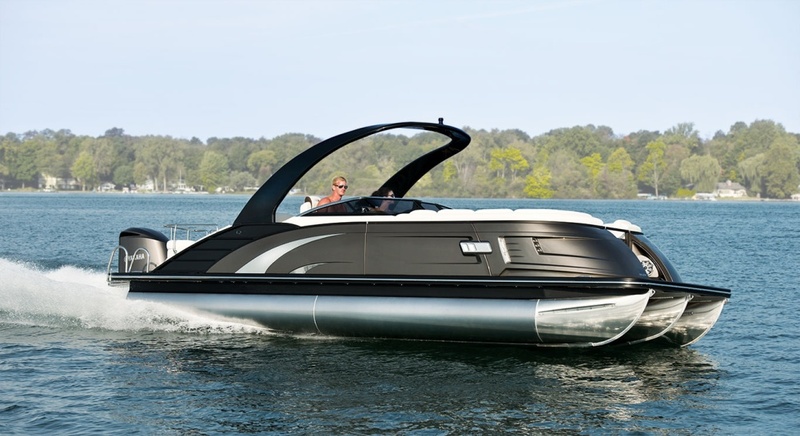 Headquartered in Elkhart, Indiana, Bennington Marine is one of the largest pontoon boat manufacturers in the United States and offers a wide variety of premium and luxury pontoon boats. It also offers headwear, accessories and apparel. An emerging player in the fiberglass sport market, Bennington Marine offers its products and services via a network of dealers in the United States and Canada, Mexico, South Africa, Europe and Australia. Founded in 1997, Bennington Marine is renowned for making pontoon boats that have the best options, from roomy interiors and plush upholstery, to comfortable chaise lounges, and one-of-a-kind floorplans. Offering over 40 different combinations of colors, features, amenities and styles to choose from, Bennington pontoons are known for their high-class features such as Bennington rails and keels, rail spaces, pontoon frames, captain seats, radius bow channels, cross channels, stainless steel bolts, round pontoons, deck brackets and gate hinges, among others. In its 20 years of operation, Bennington Marine, LLC has made a name for itself in the pontoon industry and has defined the fact that pontoons are all about the feelings of enjoyment and being carefree. It makes a wide variety of pontoon boats, from fishing and cruising pontoons, to luxury fishing and cruising pontoons. Boats manufactured by Benington Marine are certified by the National Marine Manufacturers Association, in addition to being vetted by the United States Coast Guard as upto “five times safer” than other boats.